“In the Shadow of Yavin” is a great subtitle for this year’s regular monthly Star Wars series from Dark Horse Comics, although it inexplicably seemed to vanish from the series introductions after Issue #5. 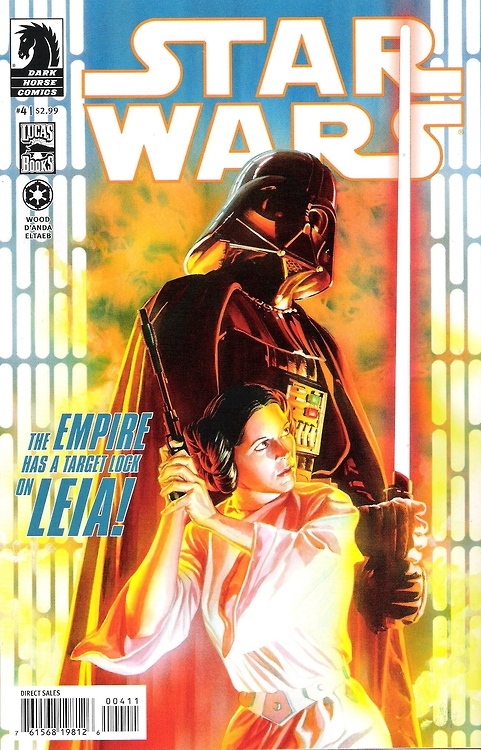 Written by Brian Wood, the Star Wars monthly comic book series goes back to a key, relatively unexplored segment of the Star Wars universe–the period between the events of Star Wars: A New Hope, and The Empire Strikes Back. In 13 issues spanning this past year, readers could take a look back to their own vision of the future of Star Wars in the 1970s when all we knew were the events of that first movie and later, three novels by Brian Daley. Of course this isn’t altogether new territory. This period was examined by Marvel Comics following on their own adaptation of the first movie, the now classic comic book series created by Roy Thomas, Archie Goodwin and Howard Chaykin, along with Carmine Infantino, Donald F. Glut and Rick Hoberg. So how did this series fare? The new Star Wars monthly (not to be confused with The Star Wars limited series or the several other Dark Horse Comics Star Wars Universe titles), is to comic books what “popcorn movies” are to cinema. It’s a great mag that you can pick up and enjoy each month for what it is–images of Luke, Leia, Han, Chewbacca, R2-D2, C-3PO, and Darth Vader when their roles were much simpler. 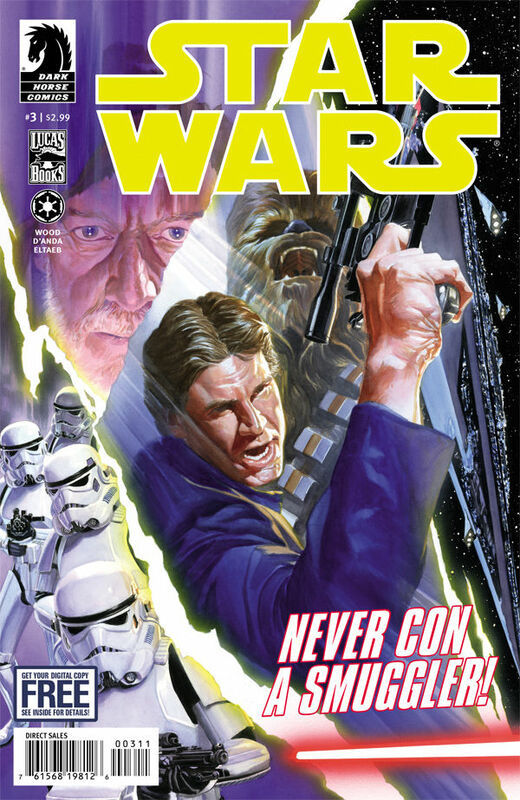 Full of X-Wing and Tie-Fighter battles, it’s a print edition action movie, thanks to pencillers Carlos D’Anda and Ryan Kelly, and movie poster quality covers by Alex Ross. We even get some fun exploration of Darth Vader’s banishment by the Emperor for losing the Death Star, and appearances by Boba Fett, who back in the day we wouldn’t meet until The Empire Strikes Back, and Mon Mothma, who we would not meet until Return of the Jedi. The addition of these key characters by Wood makes sense here. They are inserted in the story in ways that don’t take away from their later introductions in the movies. The addition of Boba Fett and Bossk may feel like a cheat to some, like adding bacon to your Iron Chef tourney meals, since it was their cloaked past and brief encounter in The Empire Strikes Back that created their mystique. But this series isn’t about canon and detail as much as creating a fun serial. This includes Luke and Wedge Antilles hanger deck scenes that may be inspired by the knuckledragger sequences of the Syfy Channel Battlestar Galactica TV series. It’s exactly the place long-time Star Wars fans always wanted to see more Star Wars adventures take place. Not before the original trilogy. Not during the Clone Wars. We’re talking about the time our favorite characters were at their best–between Star Wars and The Empire Strikes Back. Marvel Comics originally had the license for comic book spin-off stories during the 1970s and 1980s. In that time they visited their own strange, new worlds, but the best stories featured Han Solo, Luke Skywalker, Princess Leia, Chewbacca and the droids. After 114 issues (107 regular monthly, three annuals, and a four-issue Return of the Jedi adaptation) interest in the Marvel Comics Star Wars waned. Flash forward to December 1991. 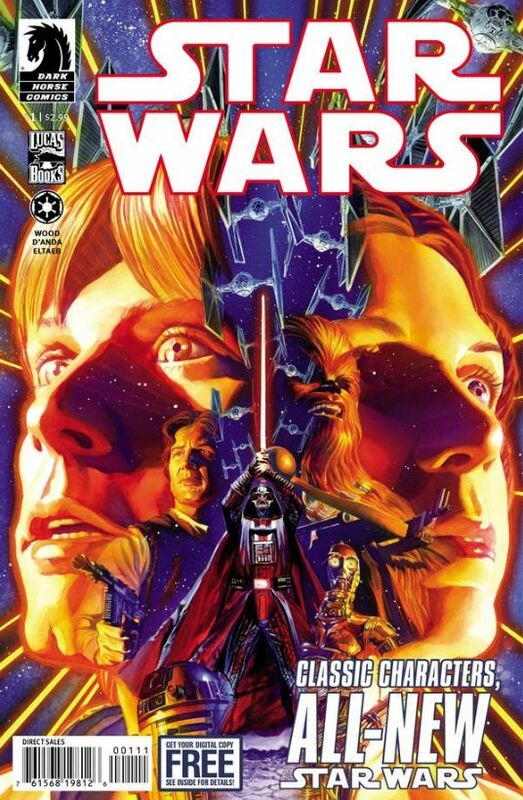 Dark Horse Comics’ writer Tom Veitch and artist Cam Kennedy, coupled with the best Star Wars comic book poster-quality cover art to date by the stellar artist Dave Dorman, created a new comic book series, Dark Empire. Dark Empire followed the events of Timothy Zahn’s post-Return of the Jedi trilogy and brought comic book readers some of the best Star Wars universe storytelling produced in comic book form.